Data quality is key when using Google Analytics to track website activity, and employing Google Analytics Filters helps clean up your data. 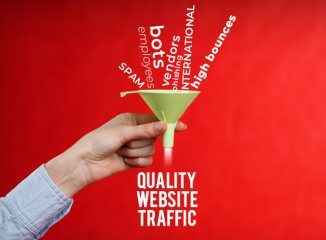 If your site gets a lot of traffic internally from employees, or externally from vendors or bots on phishing expeditions, filtering that traffic from your data will provide a better view of your site’s actual performance with the visitors who matter most – your existing and potential customers. Filters can also be applied to see or exclude traffic to specific subdomains, to “clean up” data by applying lowercase/uppercase conversion to fields, or to include/remove traffic from specific countries. In other words, creating views with filters gives you the ability to see just the data you want, in the format you prefer.